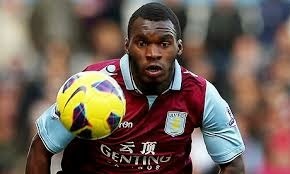 Liverpool are preparing to bid for Aston Villa’s Christian Benteke after the FA Cup final on Saturday while their the defenders Kolo Touré and Andre Wisdom have signed contract extensions despite their peripheral roles under Brendan Rodgers. Liverpool have targeted Benteke as the man they believe can score the goals to take them back to the top four, with Rodgers having lost faith in Daniel Sturridge’s ability to stay fit for an entire campaign. The Belgian striker is preparing for the FA Cup final against Arsenal, with the Anfield hierarchy recognising that Aston Villa will not countenance transfer talks in the build-up to that game. Benteke has scored 15 goals in 32 appearances this season as he recaptured the form of his debut Premier League year in 2012-13.